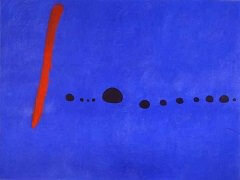 There is a certain pointillism in Miro's paintings of the year 1954. 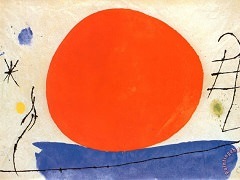 To achieve this effect he used either a small stick or even his fingertips directly, so that there is a certain irregularity but also liveliness about the dots. 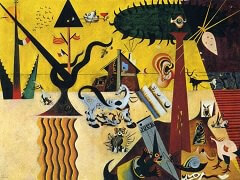 However, Miro's rows of dots are far less sophisticated than in, say, pointillist paintings of Paul Klee. 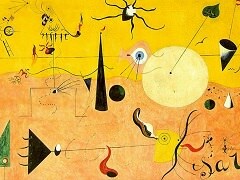 Miro was contented with simple lines or arcs, to add emphasis to a figure after it had been painted. 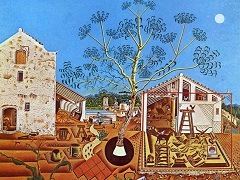 The dominant shapes in this picture have been accentuated by means of black and white dots, applied at different intervals. 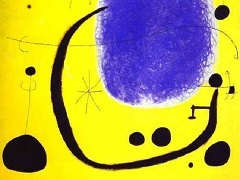 However, the dots do not surround the shapes completely but concentrate on a few particularly prominent areas, thus achieving a further pattern in the composition. 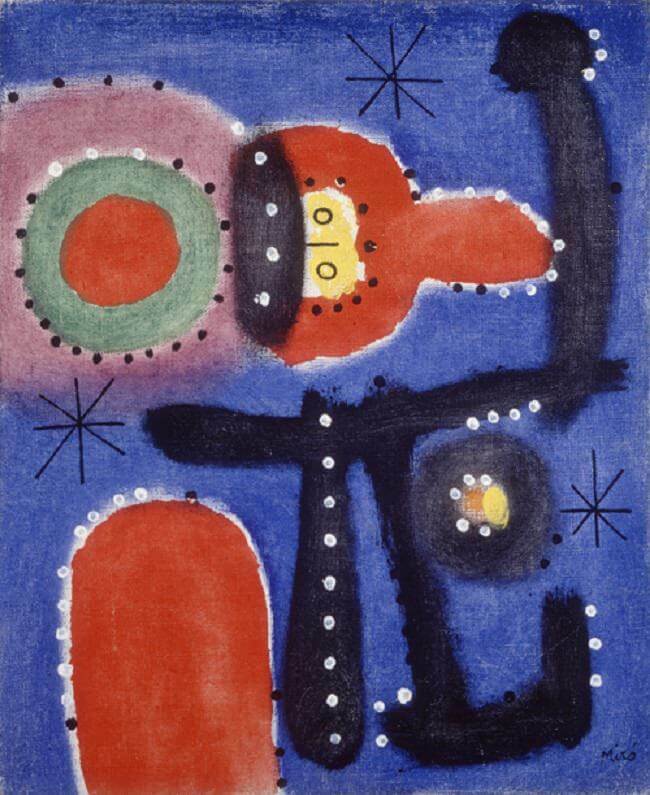 Set against a dark surface, these flashy dots seem to serve, above all, to bind the symbols more closely to their background and to create a greater clarity of form in the face of chromatic abundance. But this also means that the symbols, which are normally suspended indefinitely in space, are in danger of freezing and becoming immobile. In other paintings of that time these rows of dots often seem like heads of nails, pinning the symbols down to their background, which is in principle of a very open nature.